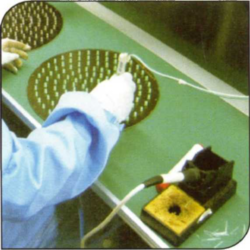 Trafitronics India Pvt Ltd is ISO 9001 . 2008 Certified Company, which, follows the Quality Management System for the activities defined in the scope of registration. "To maintain our products high quality, we test the products regularly and strictly at our laboratory." 6 --- Stands for Dust Resistance Capacity. 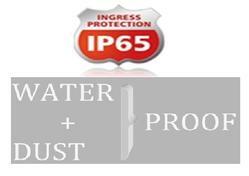 5 ---- Stands for Water Resistance Capacity . 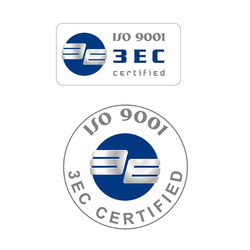 It’s the excellent quality of our offered range of products that we have been able to gain ISO 9001 : 2008 certificate. To manufacture our offered range of Traffic Signal and Safety Products, we make use of highly advanced machines and technology. Further, made using premium quality raw material, these traffic signal products are designed & developed in adherence with the international quality standards, we are 3EC & EC Certified. Before the final dispatch of our consignments, our quality controllers test it on various parameters. Acquiring the higher level of clients satisfaction is always been the main motto of our organization. For the same, we are designing & manufacturing a wide range of excellent quality Traffic Signal and Safety Products. These traffic signal products are manufactured by our engineers using technologically advanced machines and techniques. Further, our respected clients can avail these traffic signal products in various specifications at competitive prices.